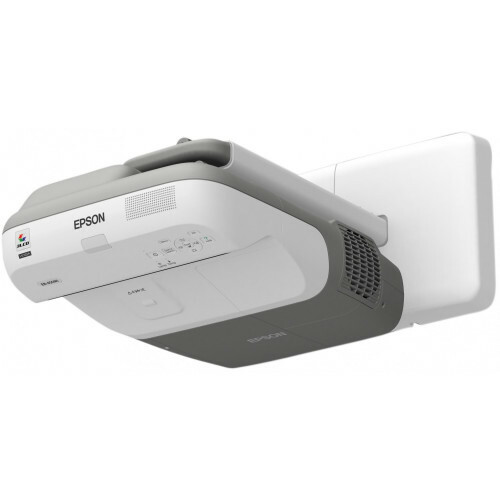 This new innovative range of education projectors is designed to deliver superior images in any size room. The unique mirror imaging technology allows you to project at an ultra short throw distance with no shadow on the screen or glare when presenting. You don´t need a big room to project a big image. Teachers and students can make the most of the space available. These ultra short throw projectors are able to display a sharply focused, bright, wide image of 70", 16:10 format screen, from just 16 cm distance. Shadow effects caused by people and objects in front of the screen are simply eliminated. The 2-in-1 USB display is the easiest way to present from a computer, because one cable handles both image and mouse controls. Project instantly, just plug an USB cable into your computer and projector, so no more unnecessary RGB cables and settings. For an even more straight forward connection, simply plug in the optional wireless module to your computer and it´s ready to 'talk´ to your projector - you´re ready to start presenting.